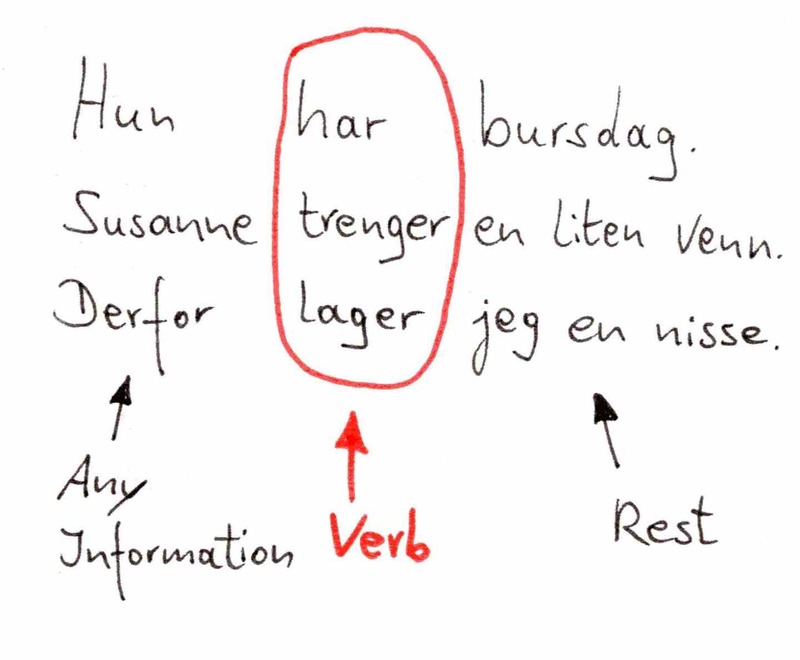 In Norwegian sentences, the verb is always the second piece of information you get. This is the most important rule in sentence structure. So, if nothing else sticks, remember this!